Want a fresh look for your home, but don’t have the resources for a full reno? We all dream of getting that perfect home makeover, but unfortunately silly things like bills and fuel and needing to eat get in the way. These 10 affordable ways to make over your home will have you livin’ it up like Ja Rule, even on a modest budget. Still rocking floral curtains from the ‘90s? Give those drab old drapes the boot and opt for a modern set for a fresh look. Choose a simple style in a light, neutral tone for a contemporary feel. A bit of greenery looks great in literally every room in the house. Seriously – chuck a cute succulent on the windowsill above the loo and thank us later. Indoor plants are a popular décor item for good reason. Some species help purify the air, while others offer a natural scent to your space. They’re also thought to reduce stress. Plus, they’re pretty! Want to feel like you’re vacationing at a luxury resort come bedtime? Upgrading your bedding with a stylish new quilt cover is the easiest way to bring those hotel vibes to your home. A crisp white quilt cover can create a dreamy minimal look, and gives you the freedom to decorate with whatever colour cushions or throw you like. Or hey, you can make a statement with a fun bold print – we’re not the boss of you. Old-fashioned kitchen and bathroom fittings can give your home a dated, worn look. Not to mention, it doesn’t take long for limescale to build up around your old faucets. Replacing taps and cabinet handles is a super easy, affordable way to bring your home into the 21st century. Much like old kitchen and bathroom fittings, dated light fittings are a serious downfall for an otherwise stylish home. Swap your dusty, bug-filled light fittings for stylish new ones. Choose a simple style for a contemporary look, or make a statement with an eye-catching design. Is your timber dining set screaming for some TLC? Or maybe that occasional chair is overdue for some fresh upholstery? Breathe new life into old furniture with some of our clever upcycling hacks. A beautiful feature wall is just a few nails and frames away. 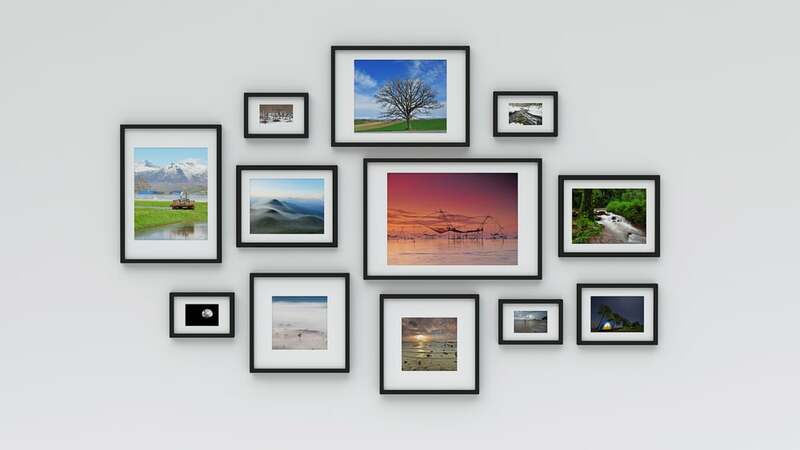 A gallery wall is an easy and affordable way to turn your happy snaps into a work of art and your hallway or living room into your very own art gallery. 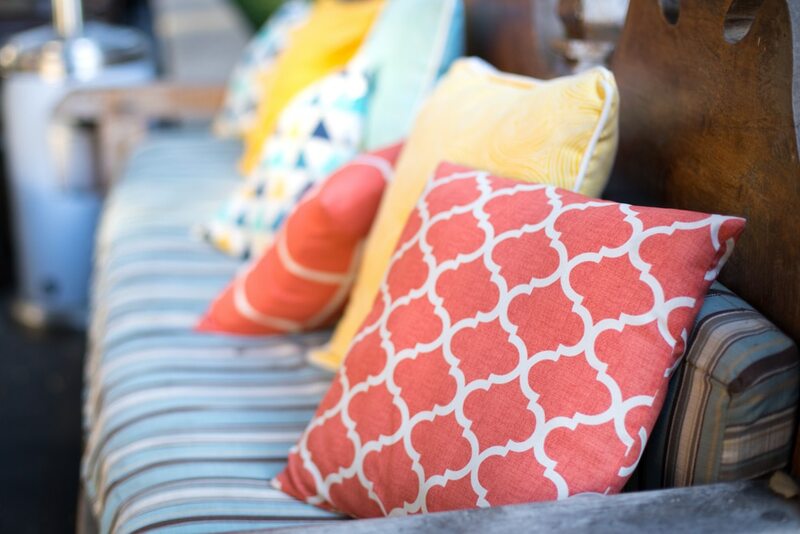 From the bed to the sofa and even that outdoor bench, throw cushions are the perfect way to add colour and texture to a space. Choose a few in different shades of the same colour for a trendy ombré effect, or go bold with clashing patterns for an eclectic look. The internet is filled with DIY inspo, including endless clever DIY kitchen backsplash ideas. Whether you opt for timber-look laminate, on-trend subway tiles, or a unique mosaic of broken tiles, creating your own kitchen backsplash can save you a pretty penny and transform the entire space. Another easy way to bring wow-factor to your home is to add some wallpaper. Wallpaper is getting increasingly popular among stylists for its affordability and versatility. Opt for a subtle, timeless print for a contemporary look or find a fun print to create a theme. For more home makeover inspo, check out these 10 ways to add value to your home.